There is no such thing as too many spy games! Whiskey Cavalier is all about the spy games, but the best part is the series is equal parts action-drama and comedy, and there can never be too many of those. Seriously, there is is a reason Whiskey Cavalier is already a hit among critics and highly-anticipated by all. It may be the breakout hit of the winter! Scandal's Scott Foley stars as Will Chase; Codename: Whiskey Cavalier. Chase is one of the best in his field as an FBI agent, and he's no stranger to life and death situations and good old fashioned badassery, but he's a man who is in tune with his emotions too. He's recovering from a breakup in an admittedly pathetic display that is as hilarious as can be when he's forced to jump back into the field on a new assignment. Related: Whiskey Cavalier Trailer: A Match Made in TV Heaven! And that's how the adorable FBI agent who wears his heart on his sleeve gets paired up with a no-nonsense CIA agent who keeps everything including her feelings close to the vest. The Walking Dead's Lauren Cohan costars as Francesca "Frankie" Trowbridge. Her codename? Fiery Tribune. That should tip you off to what you can expect from this fiery, badass CIA agent who based on the promo, is the straight-(wo)man to Will's particular brand of kooky. Related: The Good Doctor and A Million Little Things Renewed at ABC! I guarantee you'll fall in love with her on sight, and the chemistry between Frankie and Will will draw you in instantly. The two of them aren't alone as their arrangement calls for an interagency assembly of the best minds from each field. That includes Tyler James Williams' Edgar Standish the resident genius and ultimate scene-stealer with the slick lines by stating what everyone is thinking. Yes, Edgar, there is a lot of sexual tension in the air! Related: Good Trouble, Grown-ish Renewed on Freeform! Ugly Betty's Ana Ortiz is another team member who happens to be a human behavior analyst, and Vir Das rounds out the team as Jai Datta. This quirky team will already win you over in the promo, and there are endless possibilities for laughs with such confliction personalities attempting to work together as an effective unit. If you are a sucker for a ragtag team of screwballs and misfits who just so happen to be the best at what they do, coming together and forming an unlikely family, of sorts, then you are in store for a treat. 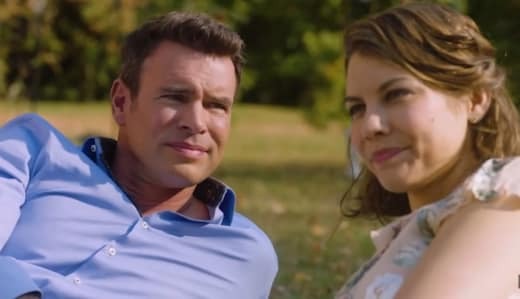 If you were a diehard Castle Fan, then Whiskey Cavalier's funny, quirkiness, and carefree vibe in addition to not taking itself too seriously will speak to you. Related: Modern Family: ABC Series to End After 11th and Final Season! The promo is hilarious. Foley and Cohan's chemistry already crackles, and they play off of one another well. They have the opposites attract, enemies to friends thing going on, and as spies, of course, they're going to have to pose as a married couple. Whiskey Cavalier has all the fun tropes, and that's just in the promo. Who knows what else they have in store for us with the rest of the season! Based on the promo, we can expect a high-octane, thrilling dramedy with stunning cinematography, a new favorite dynamic duo, and laugh out loud moments and fun. Don't just take my word for it. Check out the promo below and hit the comments with your thoughts! Whiskey Cavalier premieres Wednesday, February 27 at 10/9c on ABC!